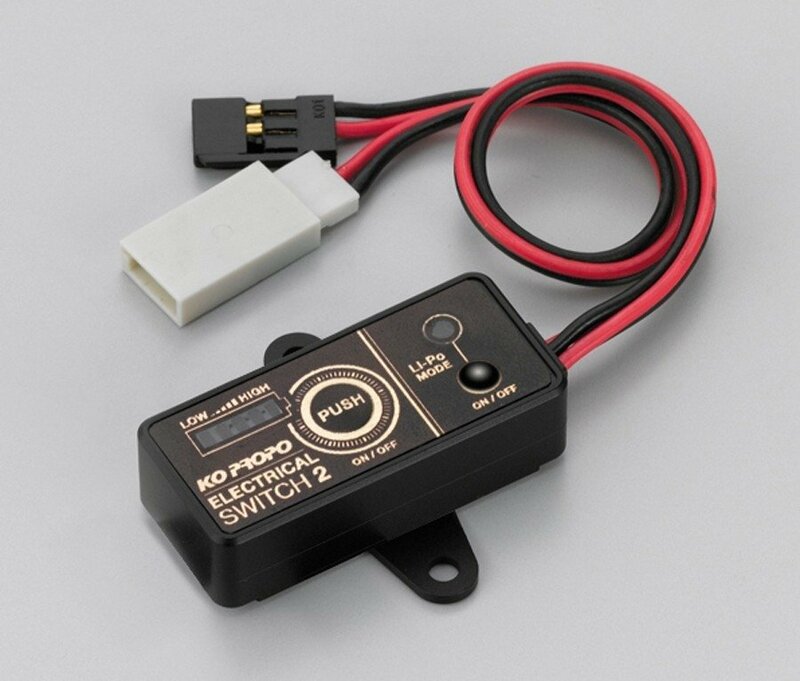 The popular KO Propo Electrical Switch has been updated, and now features a LiPo low voltage cutoff! Additionally, the CPU powered switch features a push button on off switch that will help to prevent the switch from failing, as well as a 5 LED display that displays the voltage level of the receiver pack. ●The CPU powered electronic push switch (ON / OFF) can prevent a GP car's power disconnection caused by momentary overload or loose connectors due to vibration.